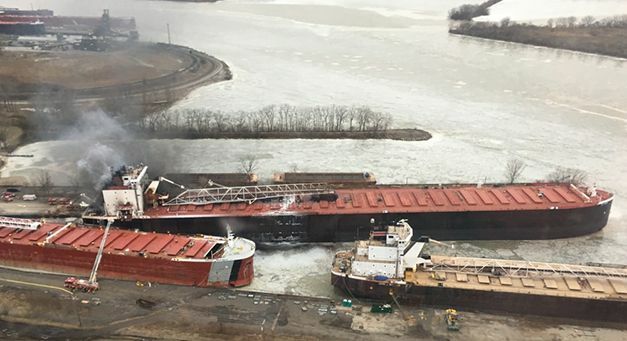 Toledo, Ohio - February 17, 2019 (LSN) The Coast Guard is conducting pollution assessment of the Maumee River following a fire onboard a vessel at the CSX Torco terminal in Oregon, Ohio in the Port of Toledo, Saturday. DULUTH, MINNESOTA - January 26, 2019 (LSN) Commissioner Michael “Mike” Jugovich was appointed by the St. Louis County (SLC) Board effective January 8, 2019. 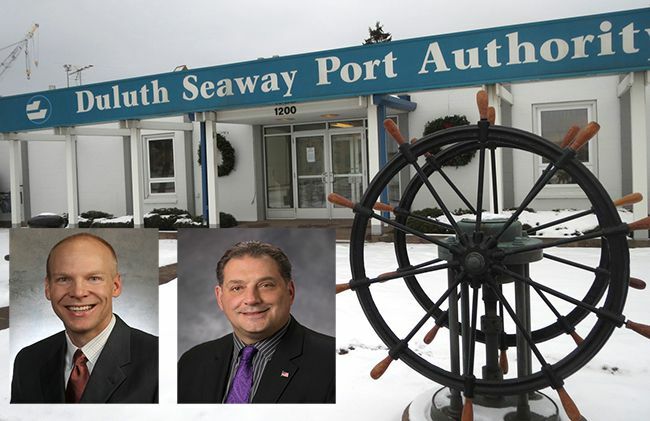 The Duluth Seaway Port Authority announced today that Grand Rapids native Jayson Hron has been named Director of Communications and Marketing. joins the leadership team effective February 1, 2019. By David Kaye Time Lapse Video, Joseph L Block up bound out of the Soo Locks, then Rt Hon Paul J Martin down bound for the Locks and finally the train into Canada. THUNDER BAY, ONTARIO - November 6, 2018 (LSN) The Port of Thunder Bay had very high ocean vessel traffic in the month of November, a trend that is continuing in December and making for a strong end to the shipping season. Twenty ocean vessels – commonly referred to as ‘salties’ – called the Port in November to load or unload with internationally-trading cargo. This is the highest number of salties to visit the Port in any single month since 2015. THUNDER BAY, ONTARIO - November 5, 2018 (LSN) MP Dave Van Kesteren recently made aware of the Liberal Government’s intention to cancel the MSET program in Ontario. 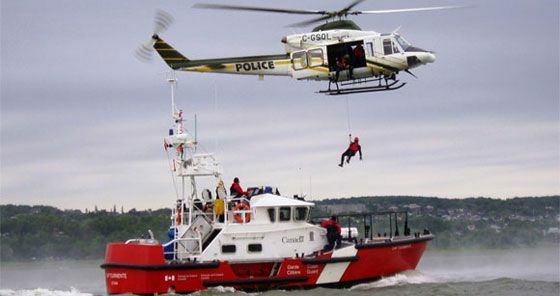 MSET is a joint operation between the Canadian Coast Guard and the RCMP to protect the entirety of the Great Lakes. MSET patrols known smuggling routes and intercepts guns, drugs, contraband tobacco and other illegal items destined for organized crime in Canada. THUNDER BAY, ONATAIO - November 4, 2018 (LSN) Extremely wet weather and a significant rise in Lake Superior levels will result in St. Marys River outflows being increased in November. An exceptional amount of precipitation fell in the Lake Superior basin from October 8th to 11th, causing a rapid and significant rise in Lake Superior water levels. Lake Superior rose 8 cm (3 in) overall last month, while on average it declines 4 cm (2 in) in October. 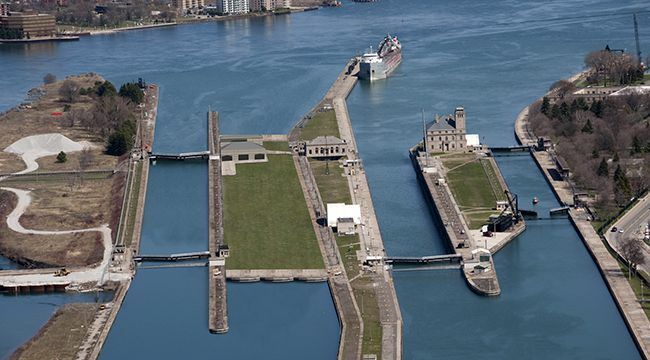 CLEVELAND, OHIO – October 24, 2018 (LSN) President Trump yesterday signed America’s Water Infrastructure Act of 2018, legislation that includes the Soo Lock Post-Authorization Change Report that authorizes construction of a second Poe-sized lock at Sault Ste. Marie, Michigan, to move forward. 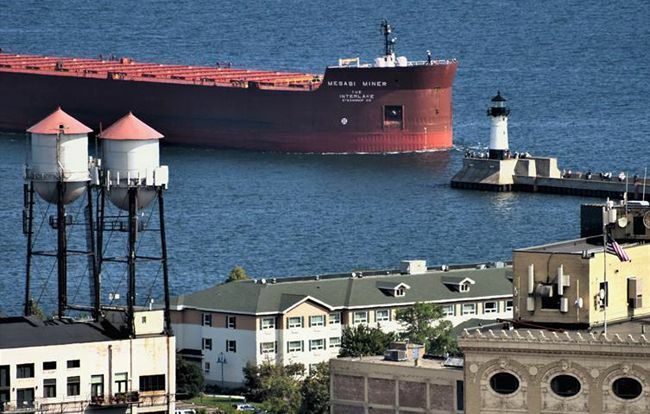 The President had pledged to “fix” the Soo Locks in April. At 103 metres and 6,615 tonnes, the future HMCS Harry DeWolf is the largest Royal Canadian Navy ship built in Canada in 50 years. 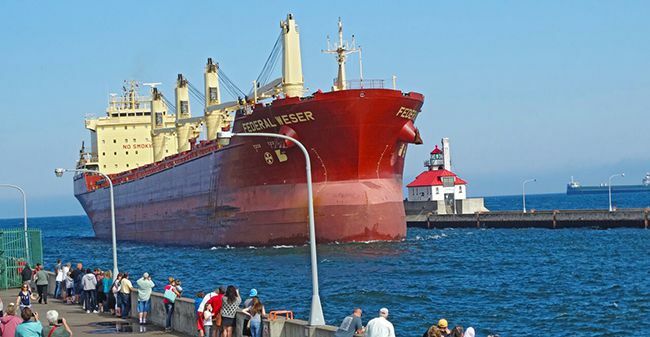 PORT OF DULUTH, MINNESOTA - September 8, 2018 (LSN) The Port of Duluth-Superior generated $1.4 billion in economic activity and supported 7,881 jobs last year. Handling 35 million short tons of cargo generated over $504 million in total wages, salaries and purchases of goods and services in the regional economy. Cargo movement and vessel activity at the port also generated a total of nearly $240 million in federal/state tax revenues. THUNDER BAY, ONATAIO - August 31, 2018 (LSN) At the beginning of September, Lake Superior is 14 cm (6 in) above average (1918 – 2017), but 11 cm (4 in) below the level at this time last year. Lake Michigan-Huron is currently 43 cm (17 in) above average, and at the same level as last year’s beginning-of-September level. Lake Superior rose 2 cm (0.8 in) last month, while on average Lake Superior rises 1 cm (0.4 in) in August. Lake Michigan-Huron remained stable in August, while on average it declines 4 cm (2 in). The level of Lake Superior is expected to remain relatively stable in September, and Lake Michigan-Huron is expected to resume its seasonal decline. THUNDER BAY, ONTARIO _ August 3, 2018 (LSN) Grain elevators have been busy the past several weeks in the Port of Thunder Bay. For only the second time in twenty years, July grain volumes surpassed 800,000 metric tonnes. The surge brings the grain tally at the port in line with the previous season and 4% greater than the five-year average. THUNDER BAY, ONATAIO - August 3, 2018 (LSN) At the beginning of August, Lake Superior is 13 cm (5 in) above average (1918 – 2017), but 9 cm (4 in) below the level at this time last year. Lake Michigan-Huron is currently 39 cm (15 in) above average, but 4 cm (2 in) below last year’s beginning-of-August level. The level of Lake Superior is expected to remain relatively stable in August, and Lake Michigan-Huron is expected to continue its seasonal decline. CLEVELAND. 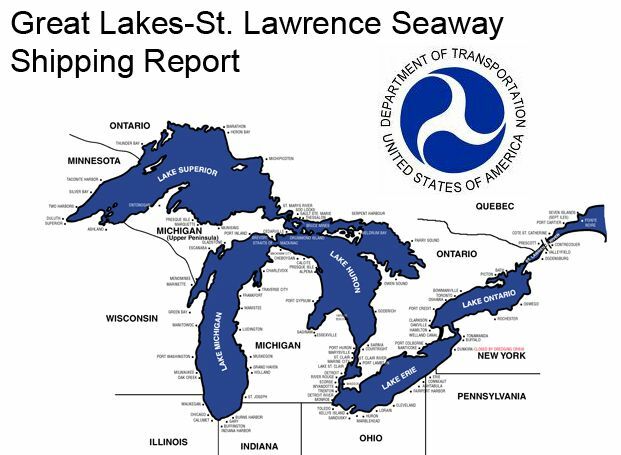 OHIO – July 25, 2018 (LSN) Lake Carriers’ Association (LCA) is reporting significant progress on issues critical to the future of Great Lakes shipping in its 2018 State of the Lakes Report released today. 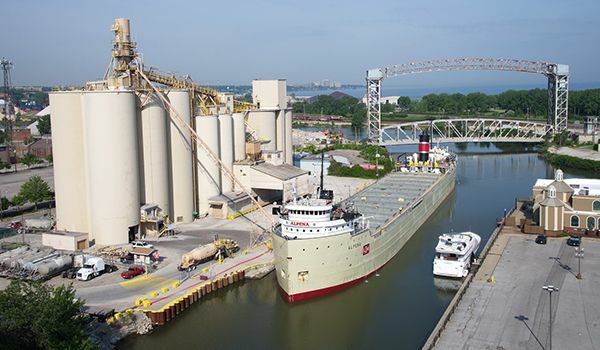 LCA has represented U.S.-flag vessel operators on the Great Lakes since 1880. DULUTH, MINNESOTA, June 19, 2018 (LSN) President Donald Trump plans to visit Duluth Wednesday, June 20, his first since just before his election. 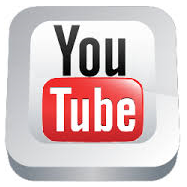 The rally is at the Duluth Entertainment Convention Center at 6:30 p.m. Doors open at 3:30 p.m. for general admission. Trump's campaign said Monday he's expected to discuss the economy, trade and his summit with North Korean leader Kim Jong Un. The rally is at the Duluth Entertainment Convention Center at 6:30 p.m. Doors open at 3:30 p.m. for general admission. Tickets must be reserved via the Trump campaign website . DULUTH, MINNESOTA - June 18, 2018 (LSN) The motor vessel American Spirit, which ran aground in Duluth-Superior Harbor, Duluth, Minnesota, floated free from the bottom at approximately 10 p.m. (central standard time) Sunday. 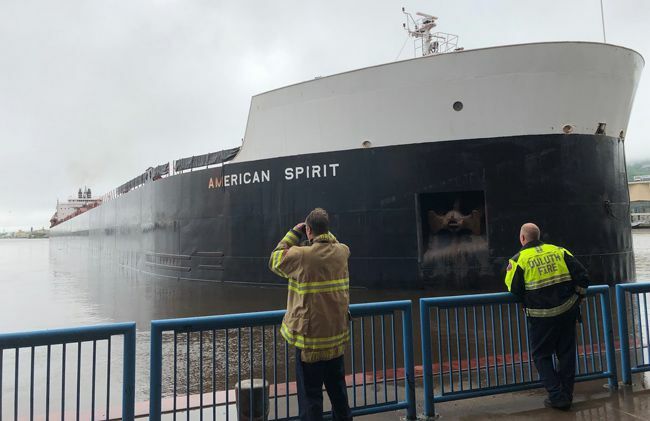 The American Spirit floated free from the bottom due to a water level rise in the harbor. It proceeded under its own power, with tug assistance, to the Husky Fuel dock. An examination of the interior and exterior of the hull is ongoing. THUNDER BAY, ONTARIO - June 11, 2018 (LSN) The month of May was a strong one at the Port of Thunder Bay, the highlight being the variety of shipments moving across port docks. Commodity shipments of grain, coal and potash were consistent, with over 1.0 million metric tonnes (MT) of bulk cargo being loaded for outbound shipment. 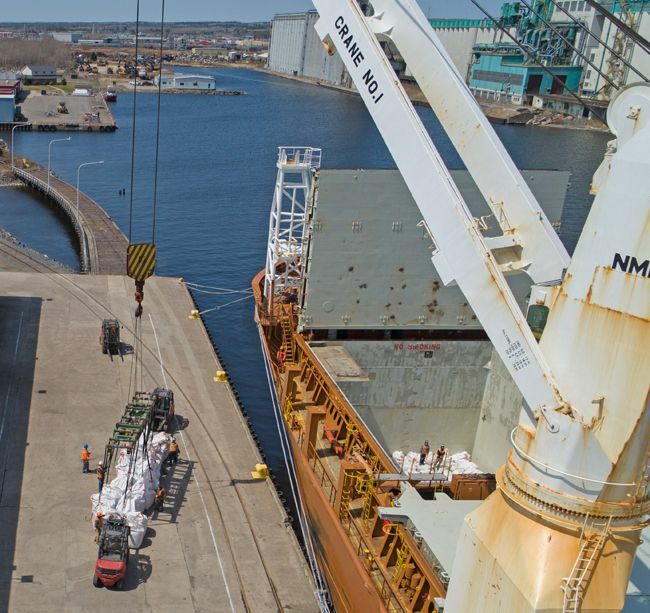 Thunder Bay is the primary Seaway export port for Western Canadian bulk commodities; potash shipments have been well above average for the past year due to increased direct overseas exports, and this trend continued in May. Grain volumes were bolstered by large shipments of wheat, which is up year-over-year in the port. Large quantities of soybeans also contributed to the grain tally; volumes of soybeans have increased steadily at the port in recent years and a record volume of 387,000 MT was set last year. SUPERIOR, WISCONSIN. 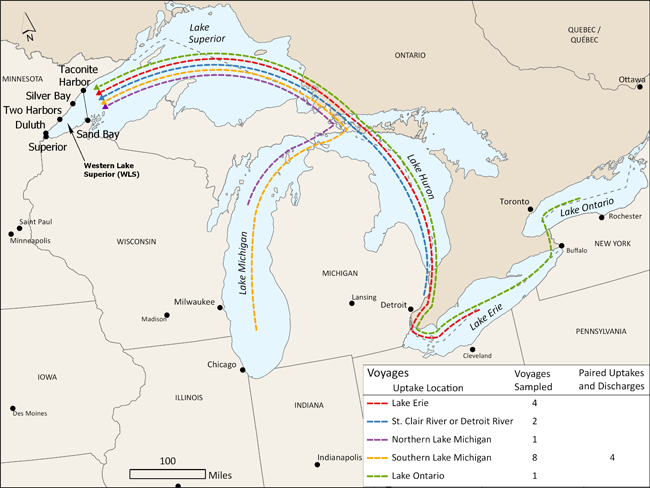 – June 4, 2018 (LSN) The Great Waters Research Collaborative (GWRC), a project of the University of Wisconsin-Superior’s Lake Superior Research Institute (LSRI), released results of a study today on nonindigenous species of plankton in ballast discharges from U.S. and Canadian lakers to western Lake Superior. The research builds on work conducted by others in the Great Lakes in recent years. 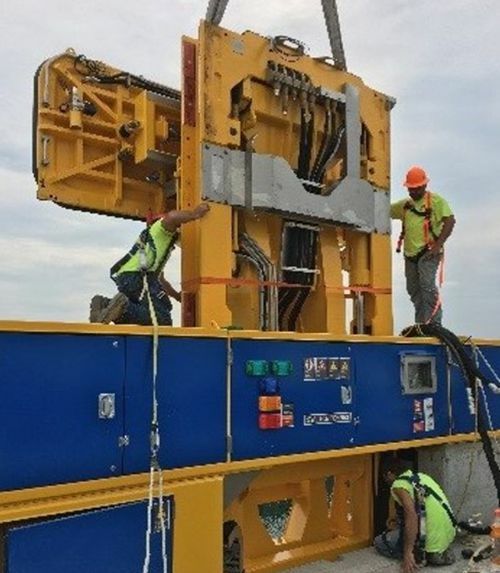 Operators of the lakers proposed the study as a means of complying with Minnesota Pollution Control Agency ballast water permitting requirements, and approached GWRC to undertake the scientific research. The U.S. Environmental Protection Agency paid for the study via the U.S. Maritime Administration portion of the Great Lakes Restoration Initiative. THUNDER BAY, ONATAIO - June 5, 2018 (LSN) Lake Superior began its seasonal rise in May, but rose just 5 cm (2 in) as dry conditions persisted in the basin for a third straight month. Conditions were wetter downstream, and as a result, Lake Michigan-Huron rose 11 cm (4 in) last month. At the beginning of June, Lake Superior is 10 cm (4 in) above average (1918 – 2017), but 12 cm (5 in) below the level at this time last year. Lake Michigan-Huron is currently 44 cm (17 in) above average, 10 cm (4 in) above last year’s beginning-of-June level and the highest since 1997. The seasonal water level rise is expected to continue on both lakes in June. THUNDER BAY, ONATAIO - May 5, 2018 (LSN) The Lake Superior water level declined by a record 3 cm (1 in) in April, normally the month that it begins its seasonal rise, and at the beginning-of-May, Lake Superior is 15 cm (6 in) above average (1918 - 2017), but 4 cm (2 in) below the level at this time last year. Lake Michigan-Huron saw wetter weather in April and levels resumed their seasonal rise, increasing 10 cm (4 in) last month. Lake Michigan-Huron is currently 41 cm (16 in) above average, 10 cm (4 in) above last year’s beginning-of-May level and the highest since 1998. The seasonal water level rise is expected to begin on Lake Superior and continue on Lake Michigan-Huron in May. Despite the recent decline on Lake Superior, the above-average levels coupled with strong winds and waves continue to result in shoreline erosion and coastal damages across the upper Great Lakes system. Additional shoreline erosion and coastal damages may occur this spring and summer should active weather continue. 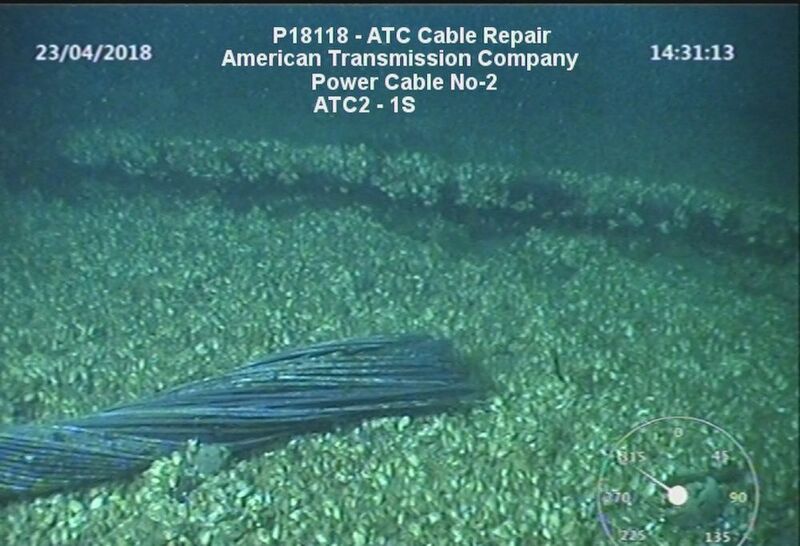 MACKINAW CITY, MICHIGAN , — April 30, 2018 (LSN) All of the affected utility cables owned by American Transmission Company have been soldered, capped, sealed and laid on the bottom of the Straits of Mackinac in its original position, Sunday. 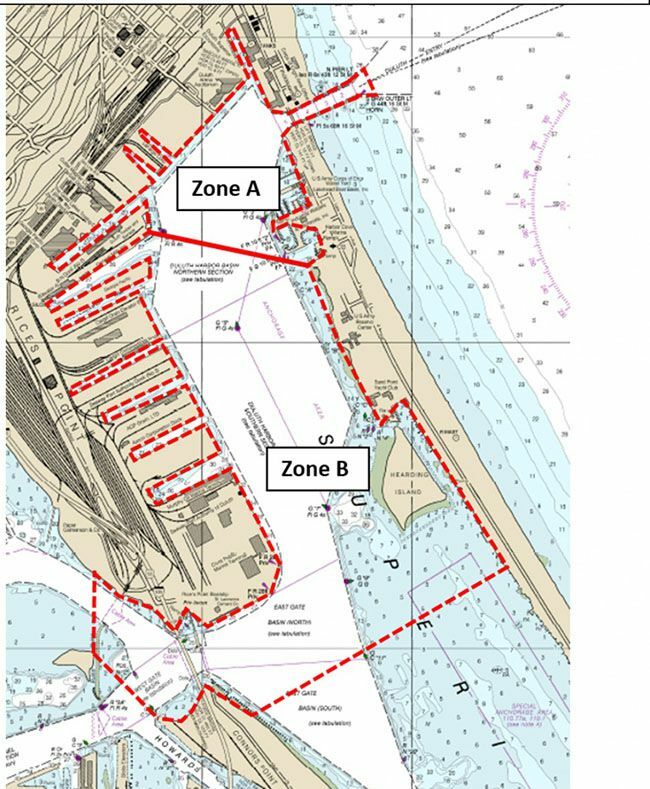 CLEVELAND, OHIO – April 16, 2018 (LSN) Protection of the environment and promotion of waterborne commerce will be well served by Senate passage of the Coast Guard Authorization Act. 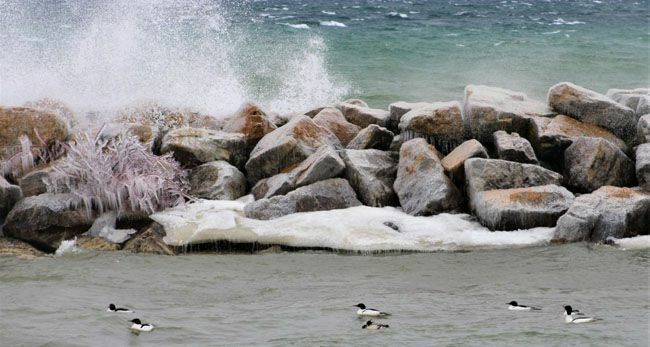 The bill, S.1129, includes provisions that will protect the Great Lakes from oil spills and non-native species and facilitate shipping during the ice season. 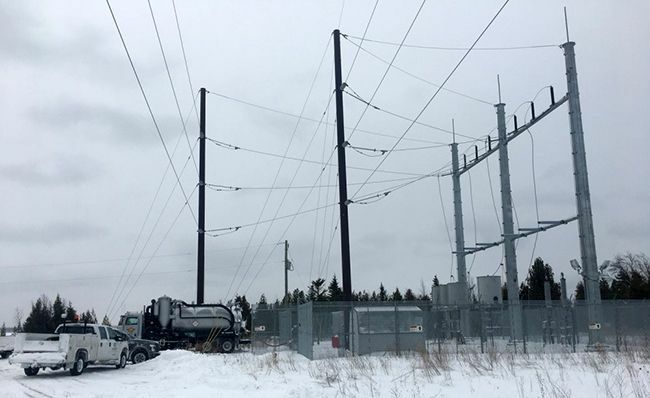 MACKINAW CITY, MICHIGAN - April 5, 2018 (LSN) The Unified Command has isolated the impacted utility lines and is monitoring the removal progress of the remaining mineral oil from those lines, Thursday. THUNDER BAY, ONTARIO - March 28, 2018 M.V. 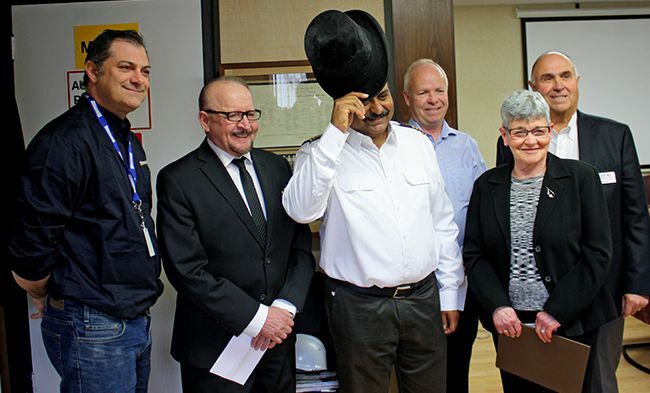 CSL Welland is the first vessel to arrive in the Port of Thunder Bay during the 2018 navigation season, and received the traditional Top Hat in a ceremony today. The CSL Welland arrived in Port on Tuesday, March 27, berthing at noon at G3 elevator. The vessel is taking on a load of grain. The CSL Welland holds the record for the largest single shipment of grain loaded in the Port of Thunder Bay. On August 16, 2016 the vessel departed the Port with 31,064 metric tonnes of grain. 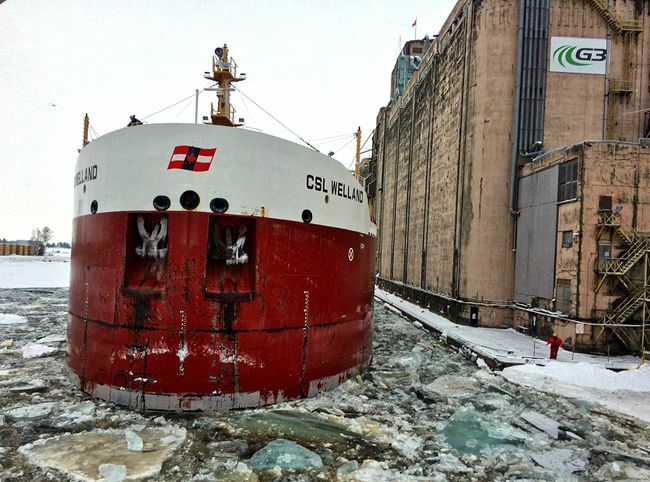 Built in 2014, the CSL Welland is one of dozens of new ships transiting the Great Lakes – St. Lawrence Seaway System thanks to a wave of fleet re-investment by Canadian shipping companies in recent years. SAULT STE. 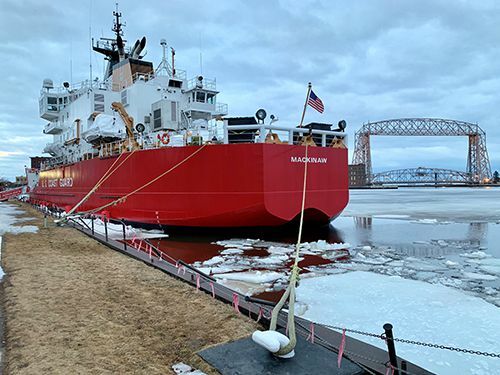 MARIE, MICHIGAN March 24, 2018 (LSN) U.S. Coast Guard cutters are breaking ice in Lake Superior, Bay of Green Bay, Straits of Mackinac and the St. Marys River as part of Spring Breakout in preparation for the seasonal opening of the Soo Locks, which are scheduled to open to commercial vessel traffic on Sunday. CLEVELAND, OHIO March 21, 2018 (LSN) Crews are readying the U.S.-flag Great Lakes fleet for another shipping season. 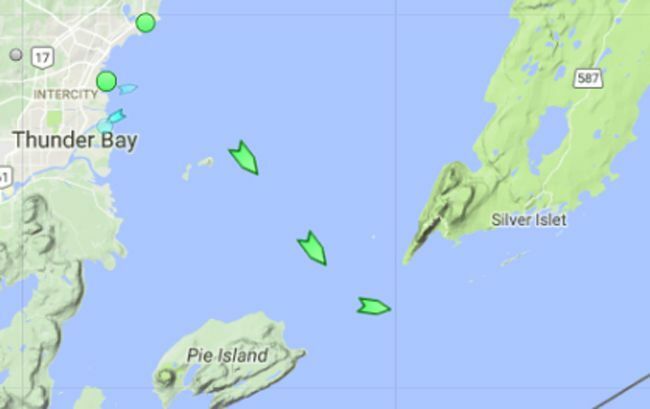 Five dry-bulk vessels have already resumed operation, but the bulk of the fleet will get underway once the locks at Sault Ste. Marie, Michigan, open on March 25. Last year U.S.-flag lakers hauled 85.7 million tons of cargo, an increase of 3 percent over 2016. Iron ore for steel production was the largest single commodity carried by U.S.-flag lakers: 46 million tons. Limestone cargos totaled 21.55 million tons. Coal shipments topped 13.3 million tons. THUNDER BAY, ONATAIO - February 3, 2018 (LSN) More seasonable conditions returned to the Lake Superior and Lake Michigan-Huron basins in January. Nonetheless, both lakes continue to see the effects of a wet spring and summer, and water levels of Lake Superior and Lake Michigan-Huron remain well above average as a result. The monthly mean level of Lake Superior in January was 183.65 m (602.53 ft), the 2nd highest on record (1918 - present) and the highest since January 1986. 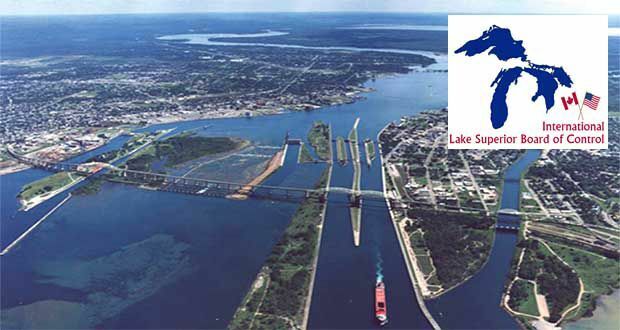 THUNDER BAY, ONTARIO - January 10, 2018 (LSN) The Port of Thunder Bay is closing up for the season, with three wintering vessels arriving today bringing the total of wintering ships in Port to seven. The final shipment of grain for the season departed the Port on January 4 aboard MV CSL Laurentien. Despite closing a bit earlier than normal, total Port shipments for the season were 7% above the five-year average. The total annual cargo volume of 8.84 million metric tonnes for the season was just a fraction higher than the 8.83 million tonnes recorded a year before. The Port’s five-year average cargo tonnage is 8.29 million tonnes. 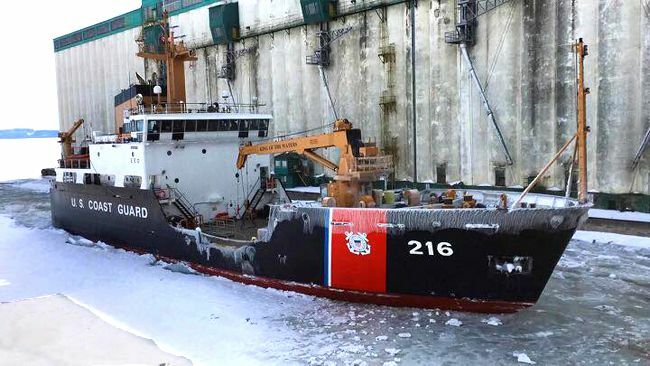 CLEVELAND, OHIO – January 4, 2018 (:SN) U.S.-flag Great Lakes vessel operators will spend $65 million maintaining and modernizing their vessels at Great Lakes shipyards this winter. When complete, the fleet will be ready to meet the needs of commerce come the spring break-out in March. 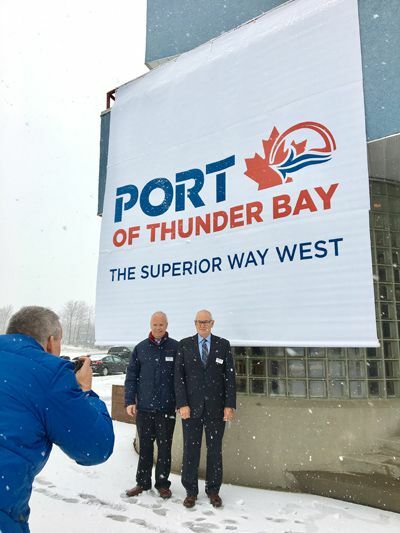 Says Tim Heney, Chief Executive Officer of the Port of Thunder Bay; “The Port of Thunder Bay’s new brand will enhance our market proposition as the superior way to and from western Canadian markets. 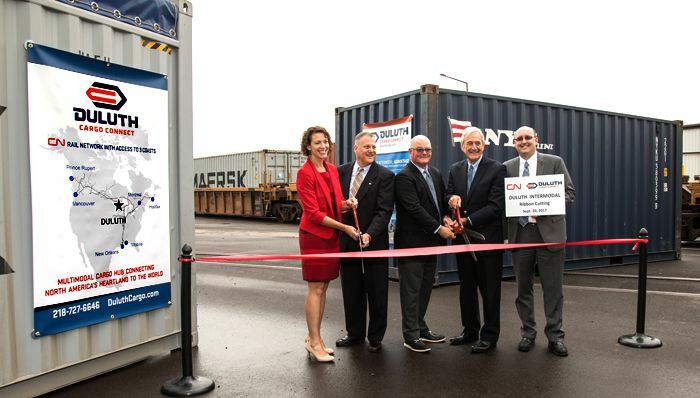 We felt it was time to strengthen the Port of Thunder Bay’s global brand strategy as a provider of world-class port facilities and services in the Great Lakes – St. Lawrence Seaway to national and international supply chain customers. THUNDER BAY, ONTARIO --- October 5, 2017 (LSN) Project cargo shipments are keeping the Port's general cargo docks busy this season. 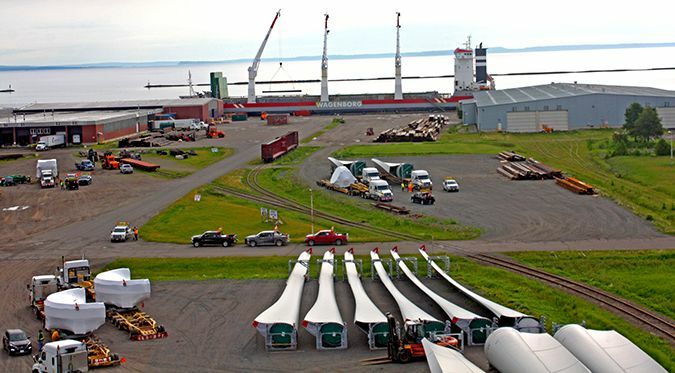 In September, the Port received shipments of wind turbine towers, modular building components and structural steel, all dimensional cargoes originating overseas and destined for the Prairie provinces. 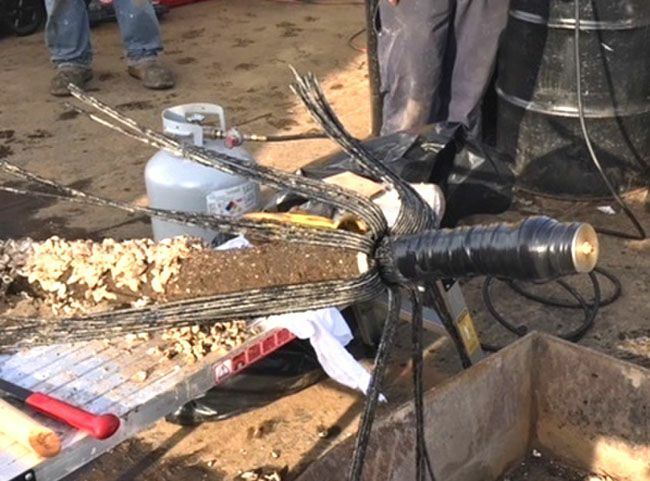 This adds to an already diverse season for project cargoes which has included electrical transformers, pressure vessels, rail lengths and other modularized structures. The 154 modular building components that were offloaded by Logistec Stevedoring last month are currently being stored in the Port's ample laydown area. They will be trucked to Alberta where they are being constructed into a hotel.